What does a Lemon Heaven & Cin City Donuts Franchise Cost? Live the Dream – Be in Business for Yourself but not by Yourself! Join this fun, unique, co-branded business with Lemon Heaven and Cin City Donuts. 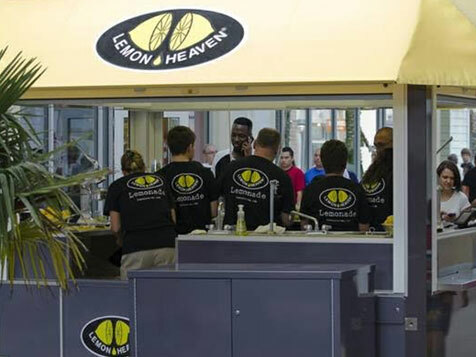 Lemon Heaven specializes in freshly squeezed lemonade and Cin City Donuts specializes in mini donuts, coffee, hot chocolate and iced coffee. 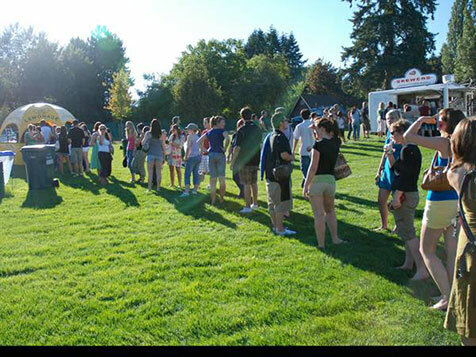 Everything is made fresh within the self-contained award winning mobile carts, kiosks and trailers which are designed for high traffic, indoors and outdoors, fun locations including malls, arenas, stadiums, convention centers, zoos, farmers markets, concerts, car races, carnivals, fairs, beach locations and festivals. Take control of your destiny and join our franchise family. Open a Lemon Heaven & Cin City Donuts in: TX. Time to Squeeze a little Fun into your life? One Great Concept…Two Great Brands! 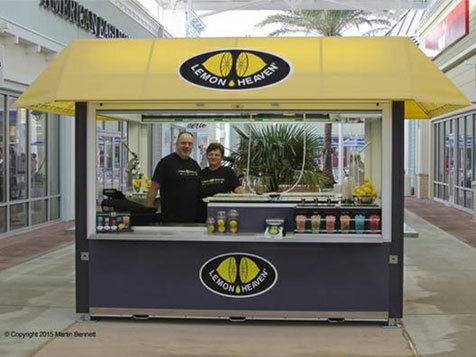 Lemon Heaven® is a unique freshly squeezed lemonade franchise opportunity, operating at malls, sporting events, music festivals and much more! Everything is made fresh within our award winning portable kiosks, carts, and trailers. Our franchisees are operating over 80 mobile units in North America. 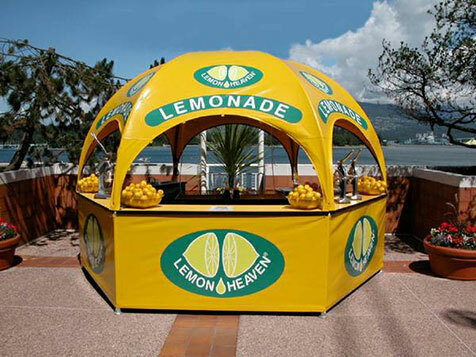 Lemon Heaven® is a great fit for hands-on operators who love to have fun! 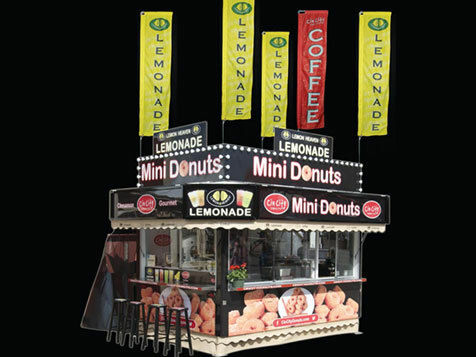 Lemon Heaven® franchise operators also have the opportunity to expand with our Cin City Donuts® (mini donuts). A Great Lineup of Fun Menu Items – Perfect for High Traffic Locations! 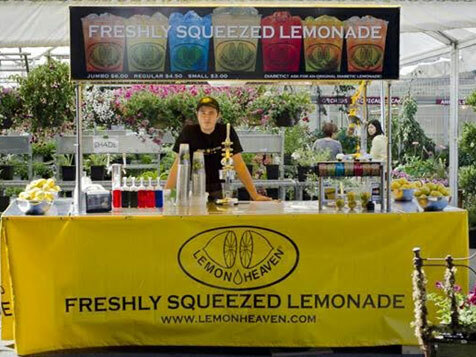 Freshly Squeezed Lemon Heaven® lemonade…Simply the Best Lemonade on Earth! 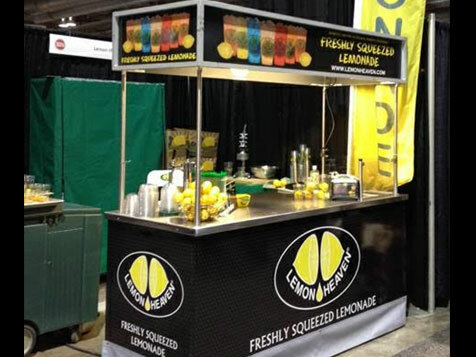 Customers are treated to a sensory show with our delicious lemonade freshly squeezed before their eyes, shaken with ice (not stirred), and served ice-cold with the lemon in the drink! Customers treat themselves to self-serve flavors and a diabetic option is available. We also offer cotton candy, a traditional favorite for all ages! Cin City Donuts®…Freshly Made Gourmet Mini Donuts! Our freshly made served warm mini donuts are always a crowd pleaser, for the young, old and everyone in-between. We also offer hot drinks - coffee, tea, and hot chocolate, the perfect complement to donuts on a cool day. 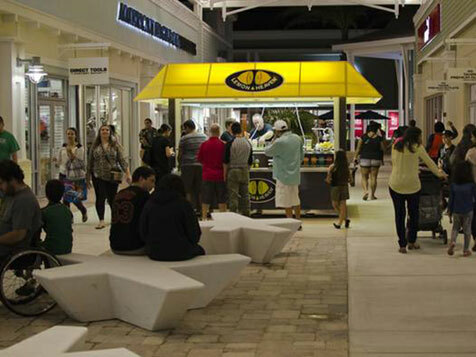 We have a great lineup of kiosks, carts, and trailers for both Site Specific Locations and Special Events Locations, available exclusively for our franchise partners. Franchise Business opportunities include many different fun oriented locations: Malls; Arenas; Stadiums; Convention Centers; Fairs; Beach Locations; Zoos; Amusement Parks; Farmers Markets; Special Events; and Much More! Why tie yourself down to a Bricks & Mortar business? Our franchise opportunity offers equipment mobility to the best possible locations with a lower start-up cost. Enjoy ease of operations with our niche menu items and equipment designed for streamlined workflow. Enjoy lower product and labor costs compared to most Bricks & Mortar businesses. 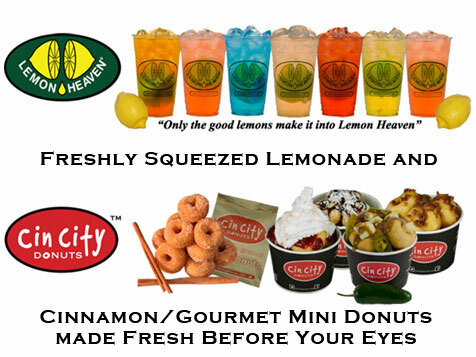 Why Lemon Heaven® & Cin City Donuts® ? Leverage our 20+ years of experience! Marketing with registered licensed trademarks and advertising materials, signage, menus etc. Have fun working with friends and family! Let’s start the conversation today to see if we have a relationship fit! Only the good lemons (and lemon squeezers) make it into Lemon Heaven®! Minimum of $50,000 in liquid capital is required. Currrently, Lemon Heaven is only accepting inquiries from Texas.